I’m back on the hunt for movies about the presidents – and yes, I’m aware that I still need to see Lincoln. I also need to see Bill Murray’s take on Franklin Roosevelt, and now there’s word that Michael Douglas is going to try his hand at a Ronald Reagan film. Let’s first get the “did you see” moment out of the way: that was, in fact, Lionel “Mr. Potter” Barrymore playing the role of Thaddeus Stevens, probably the only time Stevens spent more time trying to punish the Bailey family than former Confederate politicians. I’m trying to figure out how to get hold of this movie, as it doesn’t seem to be widely available; for starters, I’d like to figure out exactly why it was ever made. 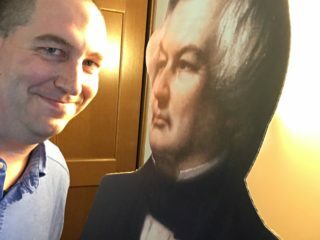 Andrew Johnson’s story isn’t all that stirring, after all; sure, he rises out of poverty to become president, but he’s not remembered as a terribly good one. The only clues I have thus far are in the release date (1942) and in the climactic impeachment scene, as shown in the trailer. 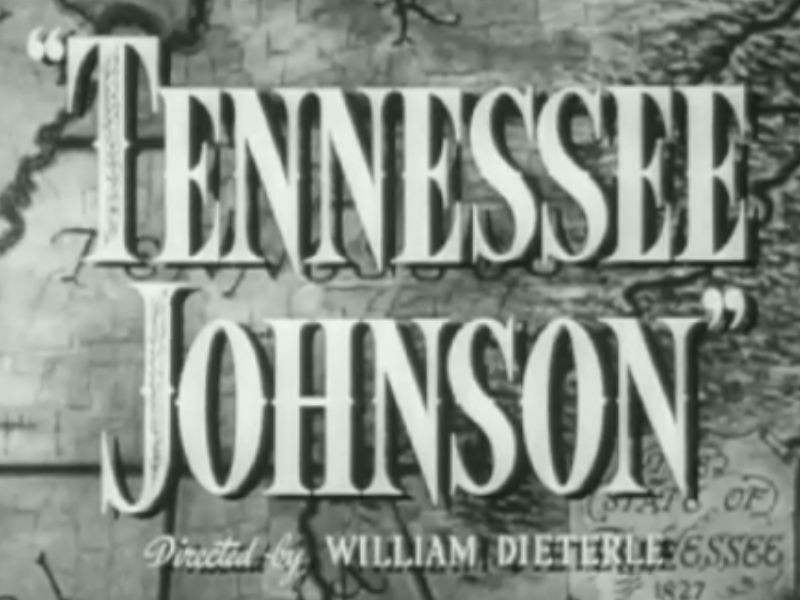 In the movie, Johnson does something he never did in real life – he speaks at his own impeachment. And he warns the senators that what’s really on trial is not a man, or even a president, but “the issue of union or disunion.” By 1942 the US was in the thick of World War II – could this be a somewhat clunky way of reminding the country to stick together? Or was it, given the needs of wartime, that they just needed to make a movie that didn’t require a lot of time or money, and a movie on “the sturdy fibers of Andrew Johnson’s stormy life” was good enough to eat up a few hours? It was always my understanding that AJ had a drinking problem also. at least for one day – it made for quite a spectacle at his swearing in as veep. Pretty sure that isn’t in the movie, though.